Most avid gamers have already played at least one slot game by Thunderkick. A young and innovative Swedish company, it was founded by a contemporary team, with many years of experience in gaming. 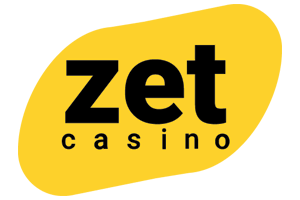 The company is focused primarily on developing unique and creative slot games with the player as a priority. All their platform and game development are done in-house, ensuring top quality and that individual product are delivered to the game providers. Their slots are always uniquely different concerning design and gameplay, with extremely quirky and fun themes. A minimal Scandinavian design works exceptionally well and provides players with an original gaming experience every single time. Esqueleto Explosivo – Stunning visuals, animations, and background track. Arcader – Fast paced and fun for the classic slot lovers. 1429 Uncharted Seas – Excellent atmosphere and top RTP of 98.6%. Magicious – A highly popular slot with an RTP of 97.6%. Thunderkick was started in 2012 with a simple vision of enhancing the gaming experience for players. Launched in 2014, they have had a swift rise to fame. They have developed both games and a Remote Gaming Server (RGS), at their base in Stockholm. They are licensed in both Malta and the UK and have gained a reputation for being innovators, with products that stand out. Most of their slots are low to medium variance but attract players of all kinds due to the diversity of their games. A unique approach to functionality and design of video slots, plus a humorous touch, have become the trademarks of a Thunderkick slot. In a short space of time, they have contributed to a change in the industry by combining excellent and a straightforward gameplay with a fun factor. They have made no secret of their aggressive growth strategy. Casinos love them because they deliver unique slots. The launch of a new game in a Thunderkick casino is always a long-awaited event. Thunderkick Casino List – Where Can I Play? The team at Thunderkick games have currently developed about 20 entertaining slots, all of which are available online. They first started in 2014 with the groundbreaking Casumo Casino, followed by Vera & John, which quickly gained a huge fan base. 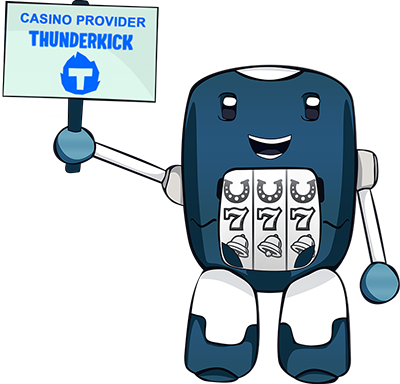 Today their games are live on hundreds of top Thunderkick casino sites. Igame has recently entered the European online market after being purchased by the Kindred Group in late 2015. Licensed in Malta, they have quickly gained a market share, and a reputation for excellent customer support and entertaining gaming experiences. They offer top video slots, table games, live poker and a live casino, which are all provided by the top suppliers including Thunderkick. They have a strong focus on loyalty rewards, with a points collection system and free spins when players reach checkpoints during play. Casumo Casino is much newer, but it has already won many awards for its products and unique theme. It offers an extensive collection of video slots and table games from top suppliers like NetEnt, Play’n GO, Microgaming and Thunderkick. Players experience an outer space adventure and collect tokens as they reach higher levels of play. Various rewards are earned ranging from free spins, bonuses, free credits, to instant prizes. New players are awarded virtual tokens when they join, along with a 200% bonus offer when making a deposit. Thrills Casino is a colorful and high-energy site, licensed in both Malta and the UK. It has over four hundred games available from eight top software providers, notably Thunderkick. Players will find video slots, table games, live poker, a live casino, scratch cards, and seventeen arcade games. This casino also places emphasis on loyalty rewards and player progression, with some great bonuses to be had. A generous welcome package includes free spins on the Starburst slot and a welcome bonus of up to £200. There is hardly any online casino currently, that does not try to attract new players with bonus offers. These will typically include no deposit fees and free spins as a minimum. Usually, the best casinos will offer a sign-up package and regular ongoing promotions for players who visit the casino regularly. There are many online casinos which use the Thunderkick software, so players can shop around and find the best deals. Casinos can offer different exclusive promotions for particular games in their collection too. Many casinos introduce unique special offers when a new slot game is launched. Players are offered free spins to try out the new game. When Thunderkick presents a new game or offers their games at a casino for the first time, some great bonuses are claimable. 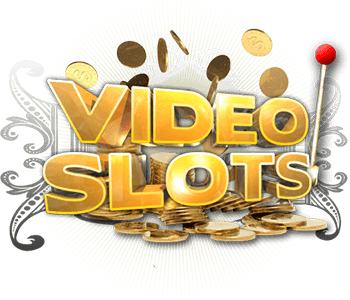 The offers on their new video slots can vary anywhere from 25 spins up to a very generous figure of 50 free spins. Casino offers will vary, so be sure to check out the terms & conditions of each bonus before playing. Thunderkick is poised to continue with the success thanks to its key strategy of creating high-end and unique products. Their team is full of ideas, and they are approaching them in a calculated manner. The company has a very laid-back attitude to publicity and does not rush production as it may risk compromising the quality. Since 2015, they have also focused on improving mobile games. Most of their slots are now available on the two most popular mobile platforms; Android and iOS. Their innovation and clear strategy, coupled with the immense popularity of their slots amongst gamers, will ensure that they are successful. AboutSlots is the only place to go for any lover of iGaming. Players will find everything they need to know about the online casino world. Information, reviews and game guides on all your favorite games and slots. Casino reviews and where to find all the best offers, bonuses and free play. News, views and a community forum. What more could players need?